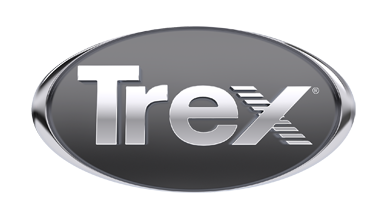 TrexPro Platinum builders are the leading experts in Trex products. Because of their ability and expertise to design and build outdoor spaces ranging from simple to complex, they have achieved the highest level of recognition from Trex. Currently, there are 226 TrexPro Platinum builders across the U.S. and Canada. We’ll check in with them to find out what's trending in outdoor living in their neck of the woods. This month, meet Tana Mallory, President of Three 60 Management of Vancouver, WA. Trex Transcend® in Havana Gold. That the initial investment in comparison to wood will have a break-even within 1-3 years (depending on product selection), and then the deck is basically maintenance-free with no cost. Dry space due to the rain. Also, no staining is a huge factor because here in the NW, it is an annual event if you want your deck to last. Trex RainEscape is a great product for our area...it is a great way to better utilize under-deck areas. was a Trex Transcend deck overlooking Lacamas Lake. The client turned a divided deck on the back of his home into a connected area where he can come out from his master bedroom or family room and access the entire space.